6pm on the first Thursday of the month. 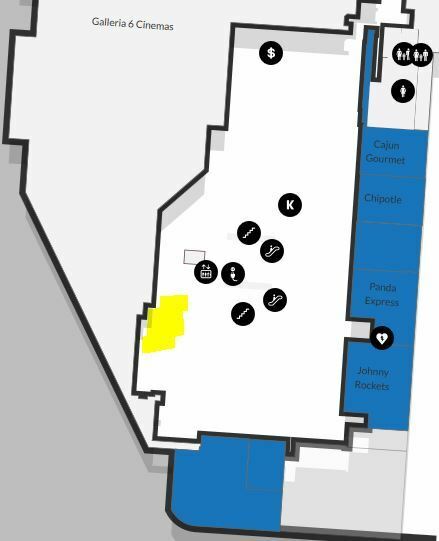 We meet at the Galleria food court; see the area in yellow on the map below. Beginners are welcome! Typically at 3pm on the third Saturday of the month in room 2 (upstairs) at the University City Public Library, 6701 Delmar at Kingsbury, 63130. NO MEETING ON SAT. APRIL 20 due to schedule conflicts.